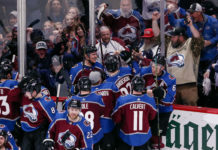 The Colorado Avalanche know how to bounce back and make a statement. 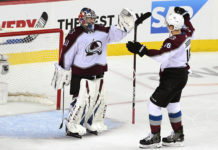 Following a four-game losing streak, the Avs downed the Florida Panthers easily on Saturday night after exploding on offense in the third period, 7-3. 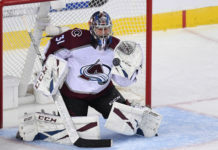 For the Avs, Semyon Varlamov shined as he made 39 saves, far outperforming that of Florida’s James Reimer, who made only 23. Mikko Rantanen got the Avs on the board first 11 minutes into play, but Florida’s Aaron Ekblad retaliated just three seconds before the first break. In the second, the Panthers took the lead five minutes, if only briefly. Nathan MacKinnon and Alexander Kerfoot ended that advantage quickly. 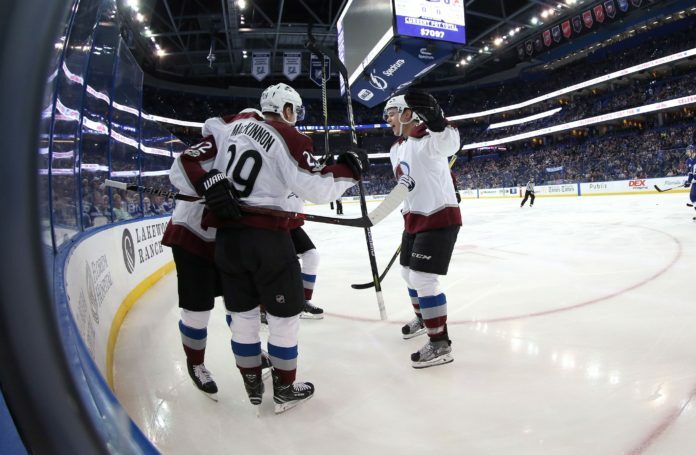 Midway through the third, Erik Johnson started the barrage of Avalanche goals that followed, which included scores from Colin Wilson, Matt Nieto and Carl Soderberg. With that kind of offensive firepower, the Panthers didn’t stand a chance. With the win, the Avalanche improved to 13-13-2 and hope to carry that success into its next game on Monday, Dec. 11 at Pittsburgh.